iPhone tracks your location. See it on map yourself. It was recently revealed by 2 researchers that iPhone is secretly tracking where you go! Download this Mac app, iPhone Tracker, which will read a file stored on your Mac when you sync your iPhone. Download it here, unzip and simply open the app to reveal. It was kind of fun for me to see where I have been in the last 6 months. 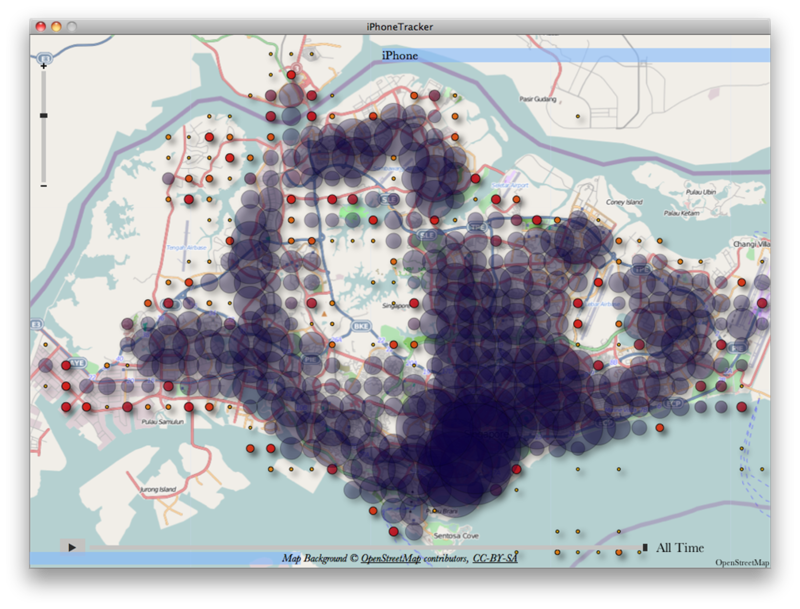 Basically everywhere in Singapore. Ah, but not Pulau Ubin. ← How to view a website that has been deleted?